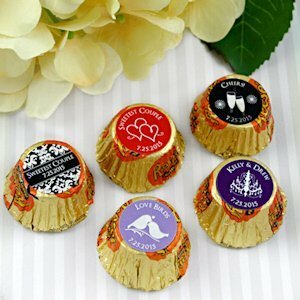 Celebrate your special day with special chocolate wedding favors for your guests! Creamy peanut butter and delicious chocolate comes together to create a favor your guests will love. We add a personal touch by adding the Silhouette design of your choice along with 2 lines of text. 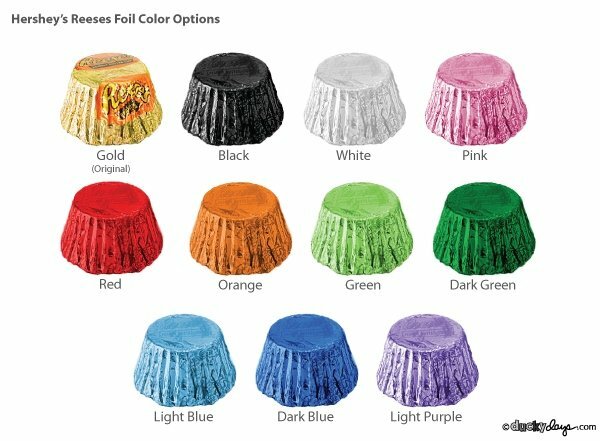 Get creative and fill small bowls with them or add them to your take-home goodie bags. We recommend 3-6 Reese's per guest. NOTE: Minimum of 50 peanut butter cups required.